The 2016 Golden Globes are finally here and awards season has begun! While many people turn into the Golden Globes red carpet pre-show to see who their favorite celebrities brought as their dates because of the celeb gossip of it all ("She's dating him?!?! "), this year, a few nominees took a different, more adorable route. 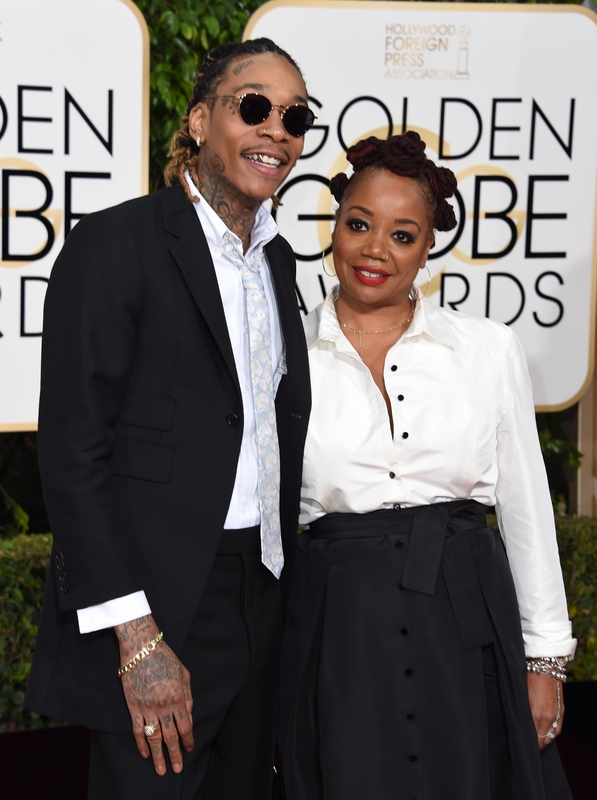 Some of the 2016 Golden Globe nominees brought family members as their dates and, in the case of those who brought parents, shared their big night with someone who has been with them for the entire journey leading up to their big night. What I think is so great about nominees bringing their family is that it must be a deeply emotional experience. While bringing a significant other would no doubt be an amazing experience — I mean, you'd be sharing one of the most important nights in your life with someone you love — bringing a parent would really boost the feels to the next level. Take Gina Rodriguez who brought her dad: This dude watched her grow up, become interested in acting, take the plunge, land her big gig on Jane the Virgin, and now he's there while she's honored with her second nomination for Best Actress in a TV Comedy! Plus, Rodriguez has previously spoken out about how much her father means to her. Clearly, attending the show together must be an important moment for both of them. Here are some of the nominees who attended with family members, whether that meant parents, children, or otherwise. Wiz is nominated for Best Original Song for "See You Again," which was featured in Furious 7. Curtis is nominated for Best Actress in a Comedy Series for Scream Queens. Schumer, who is nominated for Best Actress in a Musical or Comedy film for Trainwreck, brought her sister Kim, who was portrayed by Brie Larson in the movie. Sly rolled deep to the Golden Globes with his wife and daughters. He's nominated for Best Supporting Actor for Creed. Nine-year-old Tremblay is there since Room is nominated for Best Picture, Drama, and so is his dad who has a kinda Bradley Cooper vibe that I think everyone can appreciate.